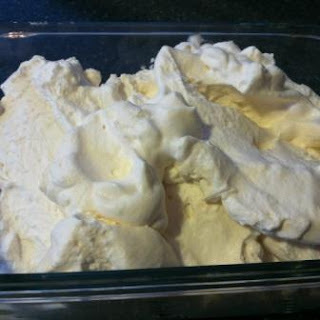 Whipped cream is so easy to make and much less expensive than the store bought kind. Enjoy! Add all ingredients to the bowl of a stand mixer and mix on high until light and fluffy (approximately 5 - 7 minutes). Store in an air tight container in the icebox up to three days. If you do not have a stand mixer use a hand mixer and start on a low speed, gradually working up to medium high as the cream thickens.